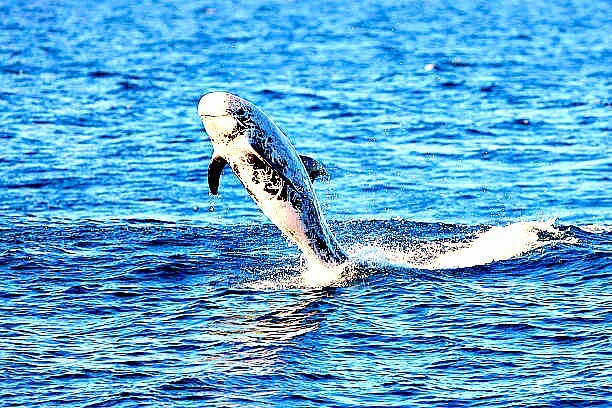 Grampus, also called Risso's dolphin, species of dolphin found in temperate and tropical seas throughout the world. It is dark grey with a lighter belly, has no "beak" and feeds primarily on cuttlefish. Length: 4m. Family Delphinidae; species Grampus griseus.